If K-pop dance cover competitions are not your thing, but you fancy taking on a challenge in order to win a trip to Korea, try the Embassy’s second Quiz on Korea, to be held at the KCC on 6 July. Note that overseas Korean nationals are not eligible to enter. But also note that the grand finale will be on Korean TV, so extra points will be awarded for Korean proficiency. 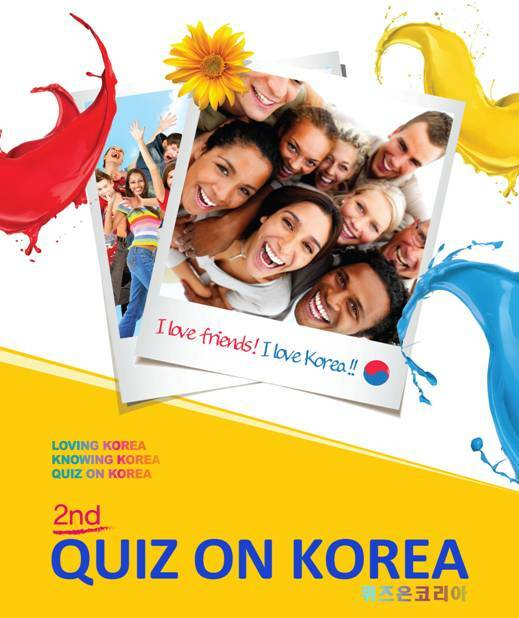 The Embassy of the Republic of Korea is organising a Quiz on Korea as a public diplomacy project to raise the awareness and interest about Korea of non-Koreans in the United Kingdom. If you think you know enough about Korea then this is your chance to compete with others who share the same passion about Korean music, films, history and culture. For Entry Form and detailed Rules and Guidelines please see the attachment. Any foreign national, who can speak Korean and/or English. It is possible that the Final in Korea will consist of questions in Korean. Individual and his/her immediate family member should never have held Korean citizenship. Overseas Korean nationals are not eligible for this contest. Contestants should be 18 and/or over. One winner from the UK Qualifying Round will win a trip to Korea to be featured in the Quiz on Korea Final television programme hosted by KBS and KBS World. Return Flights and Accommodation including meals will be provided. The prizes for the Quiz on Korea Final in Seoul will be confirmed at a date closer to the competition.